Russia's state arms exporter says Moscow will deliver sophisticated anti-ballistic missile defense systems to Turkey in 2019. 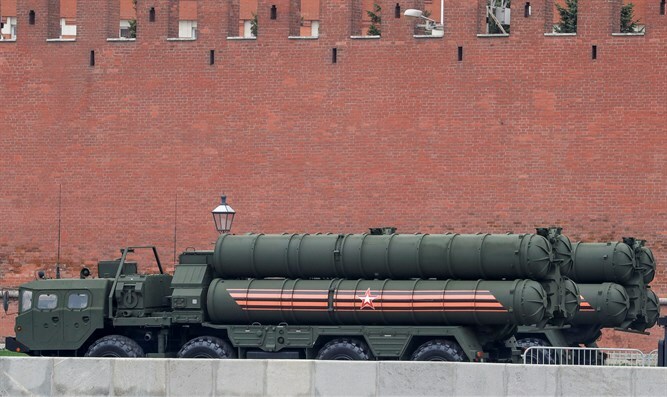 Russia plans to deliver its sophisticated S-400 anti-ballistic missile defense systems to Turkey in 2019, state arms exporter Rosoboronexport announced on Tuesday, according to the Turkish daily Hurriyet. “The contract is implemented within the agreed time limits. In 2019 we will start implementing the contract,” said Alexander Mikheev, the CEO of Rosoboronexport, according to the report. Turkey and Russia have sealed an agreement on the procurement of the S-400 missiles with Turkey making a down payment for the $2.5 billion cost. Turkish officials said earlier the systems would be deployed in July 2019. The S-400 anti-missile system, known to NATO as the SA-21 "Growler," is said to have a maximum range of 250 miles, and can bring down airplanes at up to 90,000 feet - more than double the height of a cruising commercial airliner. Russia has deployed the system in the region, with reports going back as far as 2015 saying it was deployed to a base in Syria's Latakia, located in the western part of the country. Ankara’s decision to purchase a Russian sophisticated system has long been an issue of contention between Turkey and its allies, particularly the United States. Military experts are concerned that the deployment of S-400s would put the security of allied weapon systems, particularly F-35 aircraft and radar facilities, in danger. U.S. President Donald Trump recently signed a Pentagon bill into law restricting the delivery of F-35 aircraft to Turkey. The bill calls for the U.S. Secretary of Defense to submit a report within 90 days addressing the impacts of Turkey’s purchase of S-400s on U.S.-made weapon systems in Turkish territories. Tuesday’s report comes as ties between the U.S. and Turkey are strained over the detention in Turkey of American pastor Andrew Brunson, who has been held by Ankara since 2016 and faces 35 years in prison on espionage and terror-related charges. Trump recently imposed sanctions on several Turkish officials and a 20 percent duty on aluminum and a 50 percent duty on steel in response to the continued imprisonment of Brunson. In response, Turkey imposed tariffs on certain imports from the United States. On Monday, Trump told the Reuters news agency in an interview that he would not make any concessions to Turkey to gain Brunson’s freedom, adding he was not concerned that retaliatory tariffs he imposed will have a ripple effect and hurt the European economy. The two allies had begun discussing alternative ways to resolve this dispute but talks have so far failed to bring about a resolution to this question. Ties between Turkey and the U.S. have increasingly worsened in the last month over the continued detention of U.S. evangelical pastor Andrew Brunson.